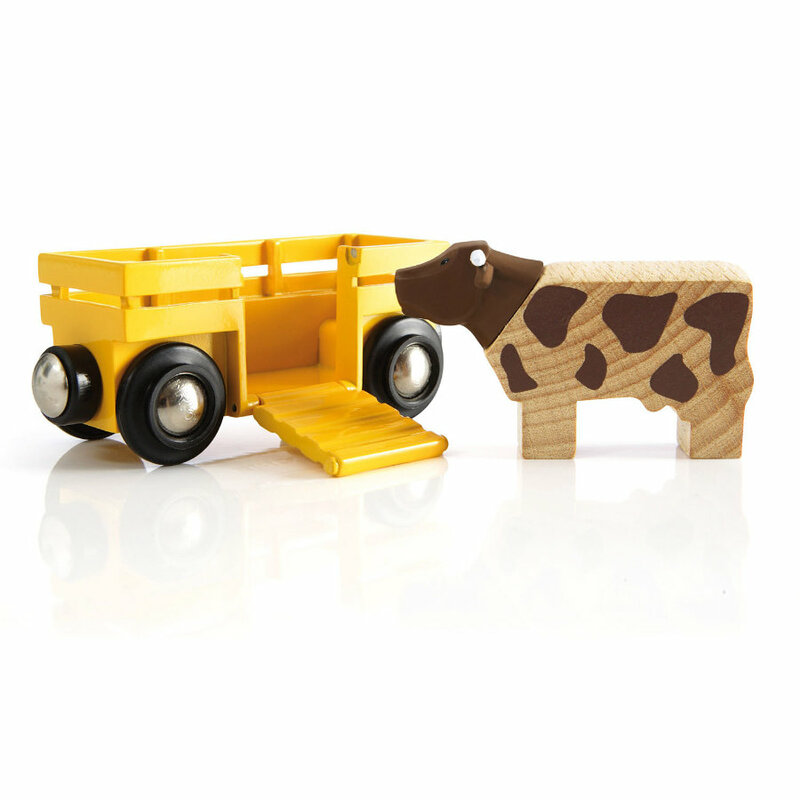 The cow has its own trailer that can easily be attached to any BRIO locomotive. Help the cow into the trailer by lowering the ramp. Close the wagon again to make sure that the cow is safe and protected and ready to go. WARNING! Not suitable for children below the age of 3 years! Contains small parts that might be swallowed! Choking hazard!